Get tips on how you can pitch to an investor and land the funding you need! Shark Tank, the critically acclaimed and multi-Emmy Award-winning entrepreneurial-themed reality show, has taken America by storm and has inspired many spinoff shows. The business-themed show that has become a culturally defining series and inspires a nation to dream bigger recently amassed an amazing $100 million in deals offered in the Tank. The GW Office of Innovation & Entrepreneurship is excited to bring in a panel of previous Shark Tank participants and current DC-based entrepreneurs to talk with budding student entrepreneurs on campus about what it takes to really get in front of an investor and how to land those imperative business deals. Join us for an exciting night where you (the students) get to drive the conversation. Bring your questions! Brett Thompson is co-founder of Pork Barrel BBQ and Jos. A. Magnus & Co. distillery. He appeared on the first season of Shark Tank and his company Pork Barrel BBQ received an investment from Barbara Corcoran. The company has been on three updates on Shark Tank, and featured on Beyond the Tank. 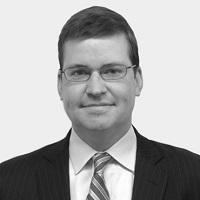 Brett received a degree in Public Policy Analysis from the College of William and Mary and holds a law degree from Washington University School of Law. He loves the adventure of life as an entrepreneur, and his company Pork Barrel is driven by it's motto "reward lives in the house of risk." Ben Young is the CEO and cofounder of Sworkit. 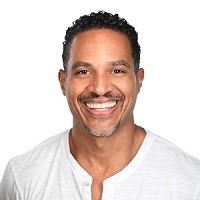 The business was conceived from his personal frustrations of trying to stay in shape while working a very demanding job, raising a family, and continuing his education. Sworkit has been downloaded over 40 million of times, and helped countless people create healthier fitness habits. Ben appeared on Season 7 of Shark Tank in 2016 where he pitched the idea and scored the largest tech deal on the show at the time - 1.5 million dollars for 10% of the company. Since the show, Sworkit has more than doubled revenue year over year, and remained profitable without having to raise any additional capital. Ben holds a bachelors of science in computer science from UVA and an MBA from Wharton. Krista was in the Sales, Training & Management Industry for 27 years. 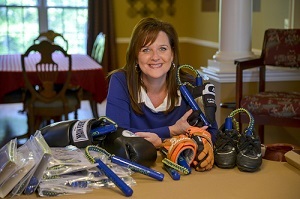 While raising three kids, she was promoted from sales to management quickly. Although being a female in a male dominated field wasn’t always easy, she found repeated success in her ability to effectively communicate with her coworkers and customers. Krista wanted to grow as a leader and positive role model, so she invested in herself by taking a course to become a Certified Color Code Instructor and in 2016 she added award winning inventor to her resume with her company GloveStix. Krista and her company GloveStix have been honored to receive over 15 awards the last 3 years including The Today Shows “Next Big Thing” and this past year her Shark Tank episode aired where she pitched her product to some of America’s toughest Investors and closed a deal with not one, but two of the Sharks, on National Television. Sara Polon graduated from University of Pennsylvania where she studied history. Her career path then took many meandering twists and turns including working at an Internet start up, leading tours through the Middle East, and several years as a stand-up comic in New York. In 2008, after reading Michael Pollan's book, The Omnivore's Dilemma, she founded Soupergirl along with her mom, Marilyn Polon (aka Soupermom / Chief Anxiety Officer). Sourcing seasonally from local farmers, the company makes a wide variety of healthy, kosher, all-natural, vegan soups that can be found all over the east coast. You can find Soupergirl products at both retail locations, Whole Foods stores from Kentucky through Virginia, and Costco Warehouse from Massachusetts down to Washington, DC. The company also ships soup nationwide via their new Souper Meals program. Soupergirl has received national press, and has been featured in such publications as the Washington Post, Food and Wine, O Magazine, and more. The soup duo was most recently seen on ABC's Shark Tank. Jim Chung is the Associate Vice President for Research, Innovation and Entrepreneurship at George Washington University, and a Co-Principal Investigator for the NSF Innovation Corps Node in Washington DC (DC I-Corps). He was previously the Director of the Mtech VentureAccelerator and the Founding Director of the Chesapeake Bay Seed Capital Fund at the University of Maryland. Prior to Mtech, he served as a Director for New Business Development at the Corporate Executive Board. 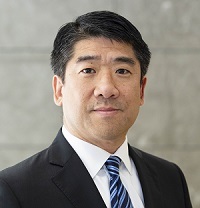 He was also Vice President at Cherington Capital (now Intervale Capital), a middle market private equity firm in the oilfield equipment and services industry.